Andrew and I started out wanting to adopt a healthy child from China. We initially didn’t consider the waiting children. But then the wait for a healthy child began to lengthen…and lengthen…and it’s still getting longer. We are both special education teachers, so we have a heart for (and experience with) special kids. We decided we were pretty well equipped to venture into the waiting child arena. We filled out the waiting child application, and began looking at all the sweet faces of the waiting children on Great Wall’s list. We originally listed a few minor needs we would feel comfortable with, but as we waited and looked over the lists of children, we began to see kids with greater needs who needed families, too. It’s an interesting and difficult process to see all the little faces of kids who need families and decide which one you want to request to be your son or daughter. Who gets picked? In our case, I feel like God played a big part in leading us to our girls. In 2009, I saw a picture of our first daughter. She was nine months old and had lively little eyes that just somehow called to me. We began to research her special need – a form of spina bifida. Potentially not a minor, correctable need, like we were comfortable with. From the meager (yet accurate) information we received from China we could not determine if she would ever walk or have other needs relating to spina bifida. We did know she would require surgery once we brought her home. We deliberated, prayed, consulted experts at a major hospital in our city and, despite the unknowns, decided this little girl should be our daughter. Whatever her degree of special need, she would face it no matter who her parents were (or whether or not she had parents at all). Those sparkling eyes just beckoned me to take a chance on her. And we did. We brought Lily home in 2010, when she was 18 months old. She is an amazing little girl, and fit right into our family from the start. She had surgery when she was two, and amazingly has no current symptoms of her spina bifida. Right now we’re enjoying every day with her and watching for any new symptoms as her spine grows. In 2011, we brought home a sister for Lily. Our first waiting child adoption had gone so smoothly, we were open to doing it again. This time, we checked more boxes on our waiting child application. We knew we would be open to some things beyond just minor, correctable needs. We began the looking process again, and found our second daughter. This time, the need was even less specific than our first adoption had been. The label was a gross motor developmental delay, but in the updated paperwork we received, it showed no areas in which she was delayed. Again, we decided to take a chance on this second little girl who had captured our hearts. We really had no idea what her special need would mean, but we knew we wanted to make her our daughter. 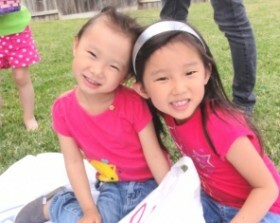 In reality, the girls got along alright, but were not best buddies that entertained each other. Lily was a bit jealous of the new attention-stealer in her life, and Mei Li was a two-year-old who had just been displaced from all things familiar. We enjoyed China, had more than a few toddler tantrums from our newest family member, and made it home as a family of four. The girls have definitely bonded, and hate to be away from each other for very long. But there’s a lot of sibling rivalry that goes on as well. 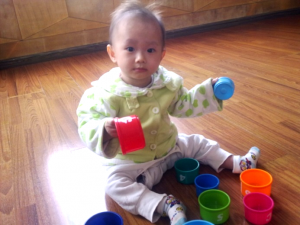 We haven’t seen any gross motor developmental delay with Mei Li, but we have seen some behaviors that are almost certainly related to her first two years of life being lived in an institutional setting. Her frustration tolerance is very low, she seems to have multiple sensory issues, and her speech is significantly delayed. These are issues we did not see with Lily. But we’ve seen a ton of growth over the two years since we’ve adopted Mei Li. She is maturing and losing some of the behaviors we used to see. She may have meltdowns at the drop of a hat, but she also has the brightest, most infectious smile I’ve ever seen. She’s a total joy to have in our family. 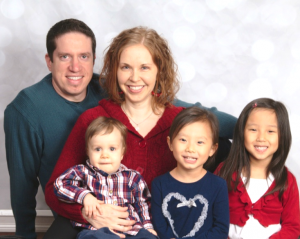 We now have three children – Lily andMei Li from China, and Isaac, our biological surprise. I can’t imagine not having these three in my life, and would recommend the waiting child route to anyone interested in adopting a child. Any way you choose to build your family has unknowns and scary parts. In the end, children are children, and they all need parents to love them. Sometimes the biggest blessings come when you choose to step outside your comfort zone and take a chance on the unknown.